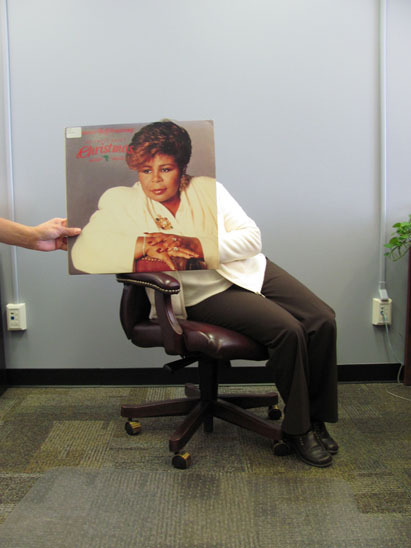 Vanessa Bell Armstrong feels that the truth about Christmas is probably best told in the library’s budget office. In this photo: Vanessa Bell Armstrong, Mardi Losoya-Rush, and Kim Davis. Photo by Liz Tousey. This entry was posted in Pop and tagged Vanessa_Bell_Armstrong. Bookmark the permalink. I just wanted to tell you how cool your photos are. Such a rad idea, and well executed!